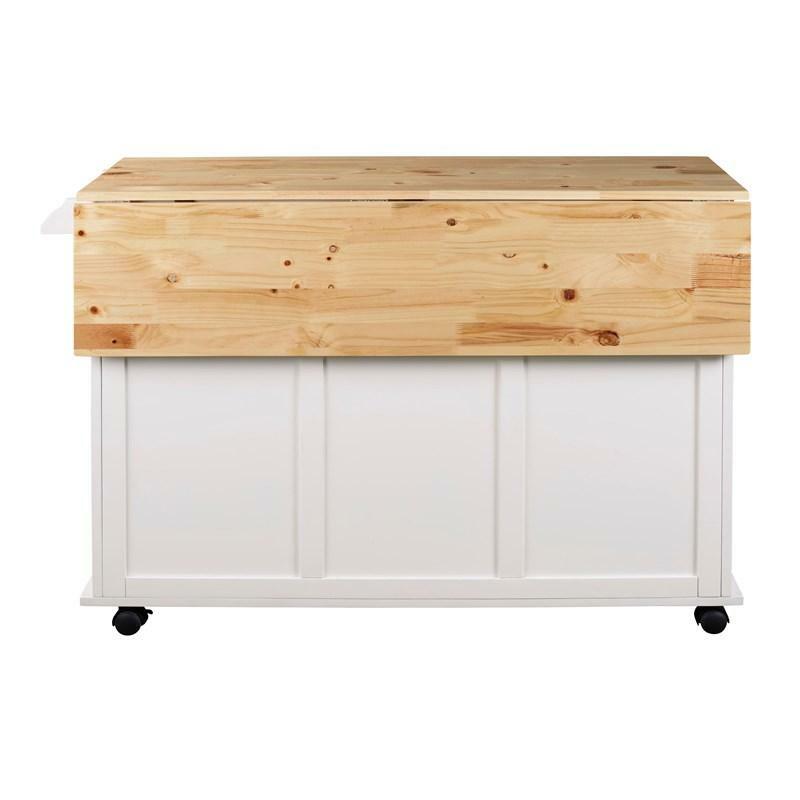 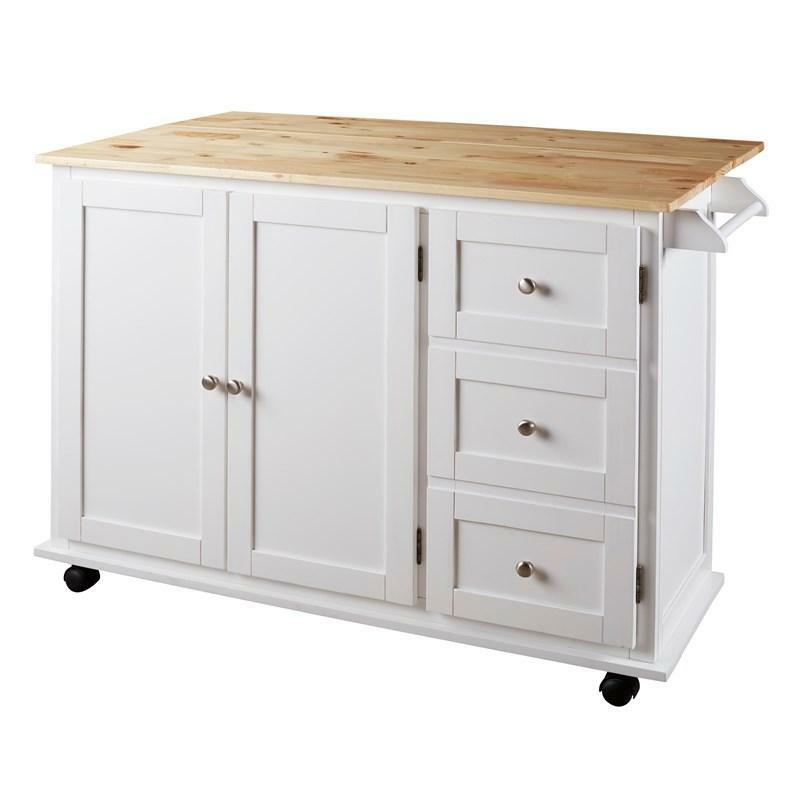 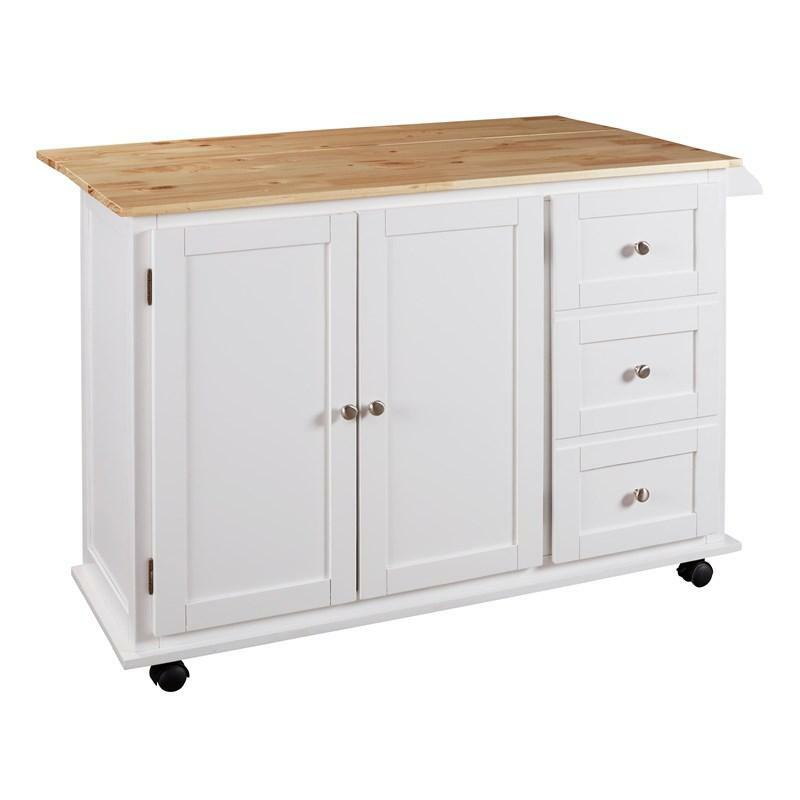 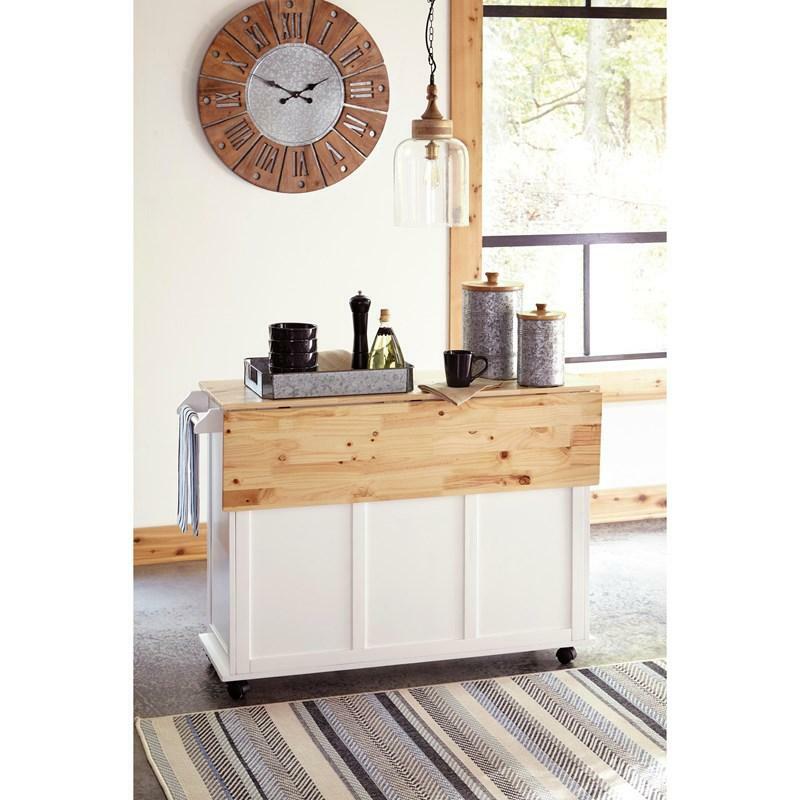 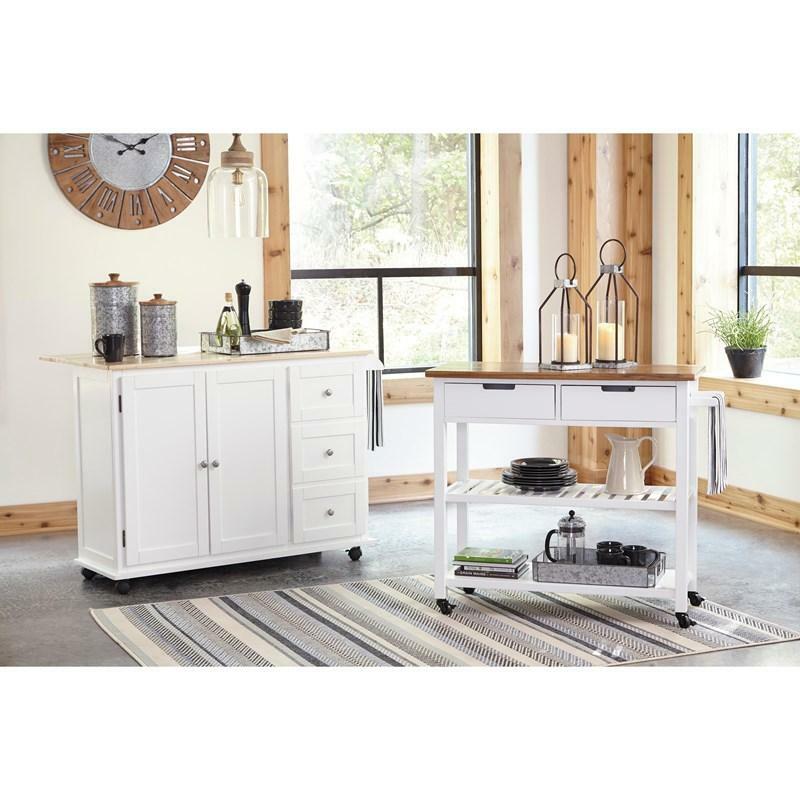 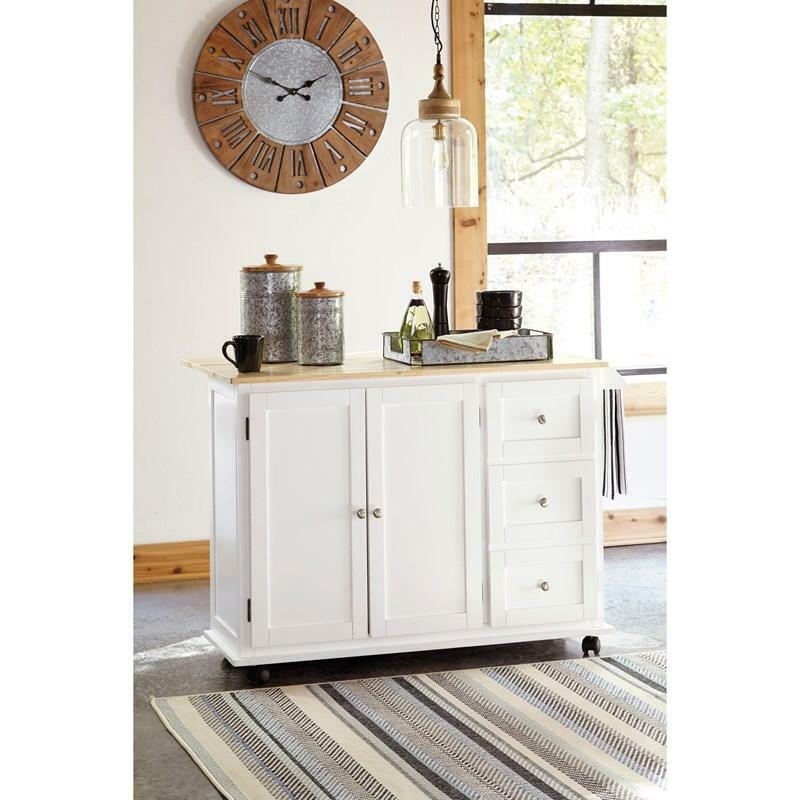 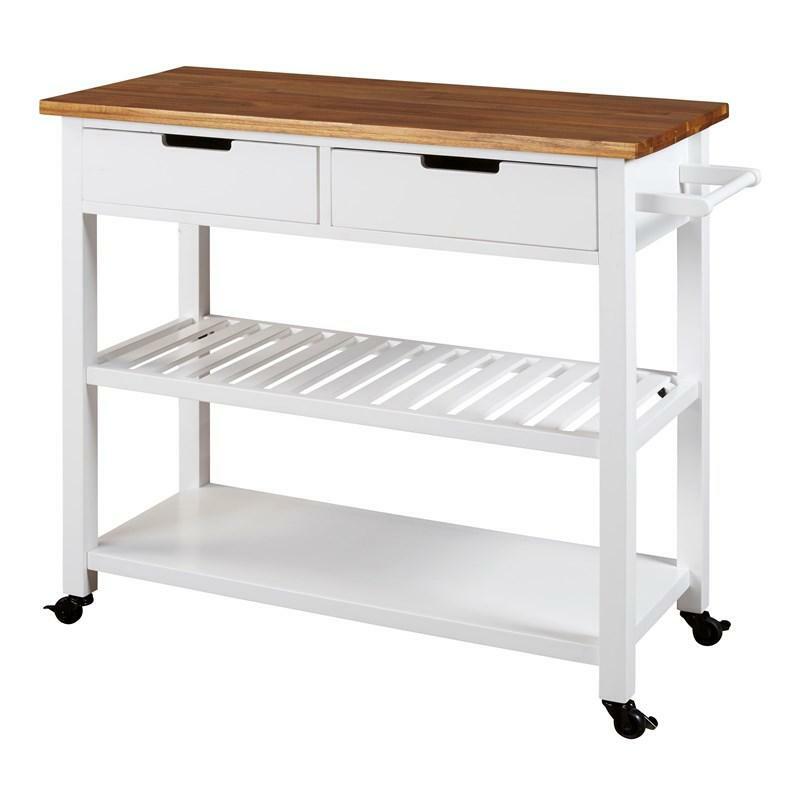 Take the guesswork out of entertaining with the Withurst kitchen cart. 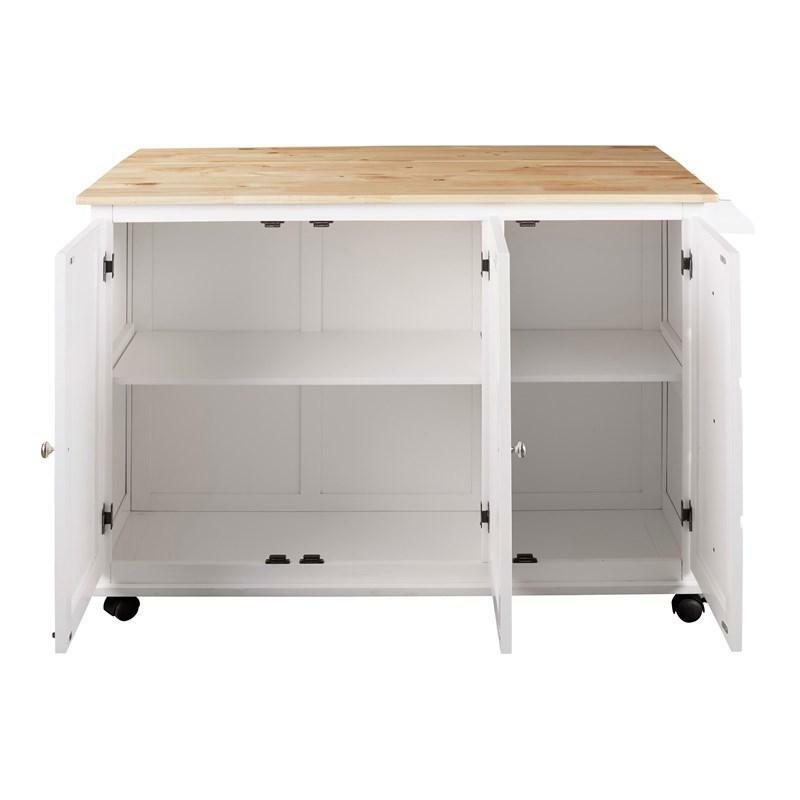 Casual-cool in a white finish, the inner shelf stores fancy dishware in case extra guests show up. 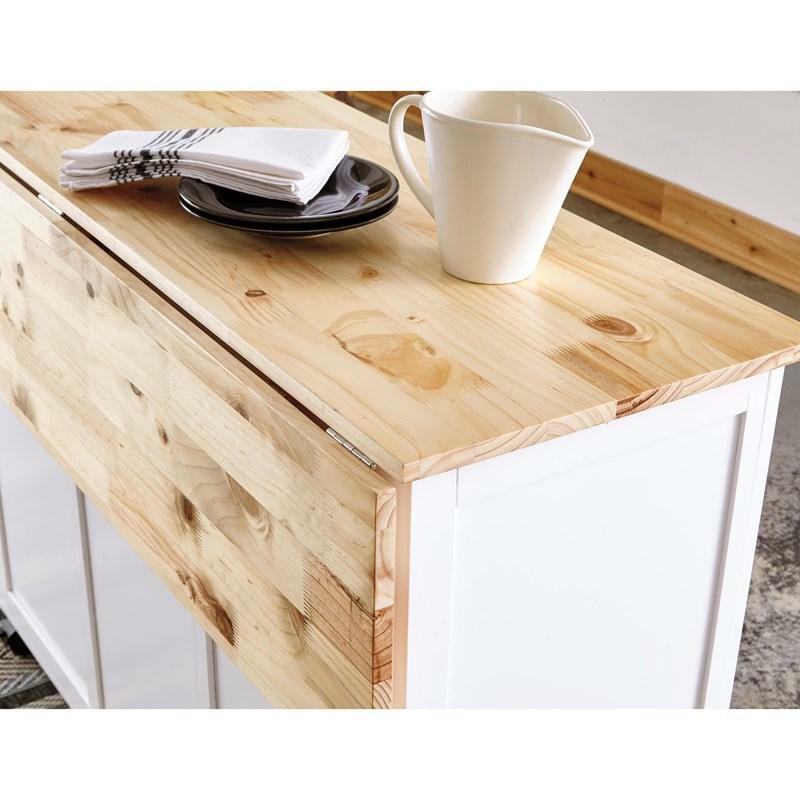 Storage drawers tuck all your cutlery and napkins neatly away in rustic splendor. 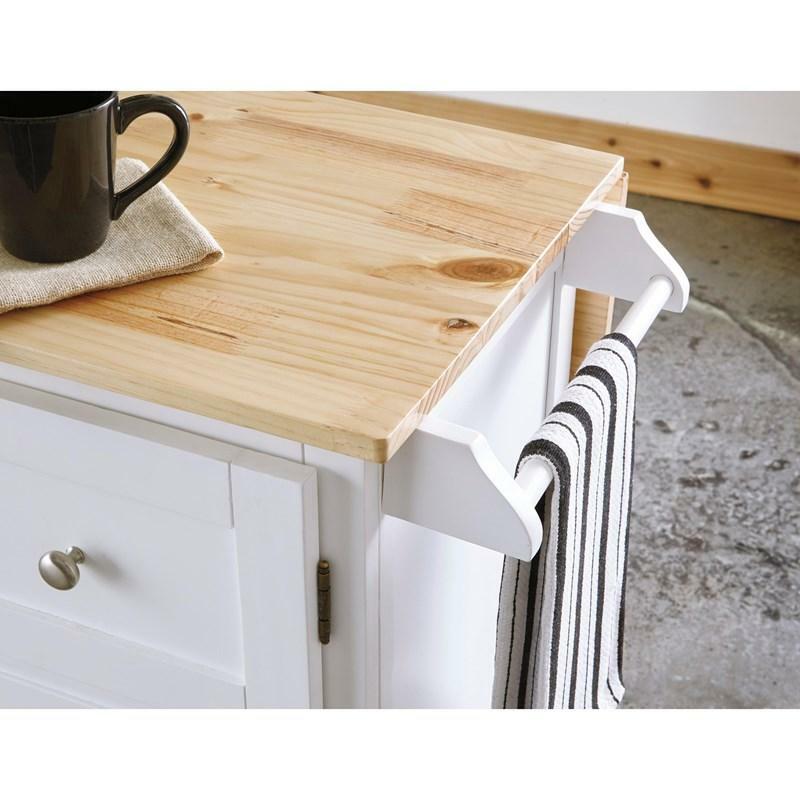 Hang a towel from the rack in case of an accidental spill. 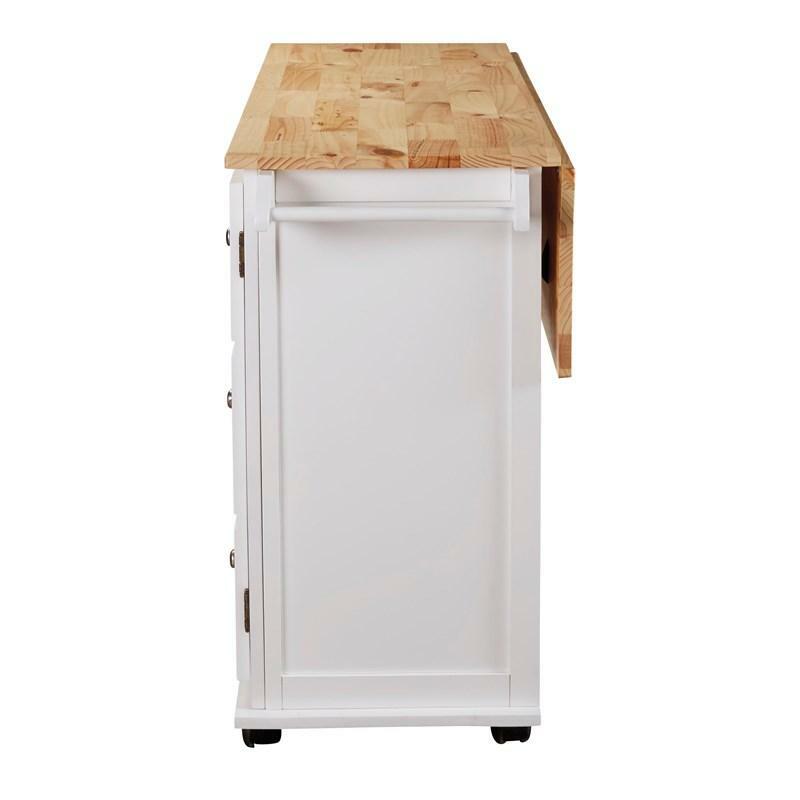 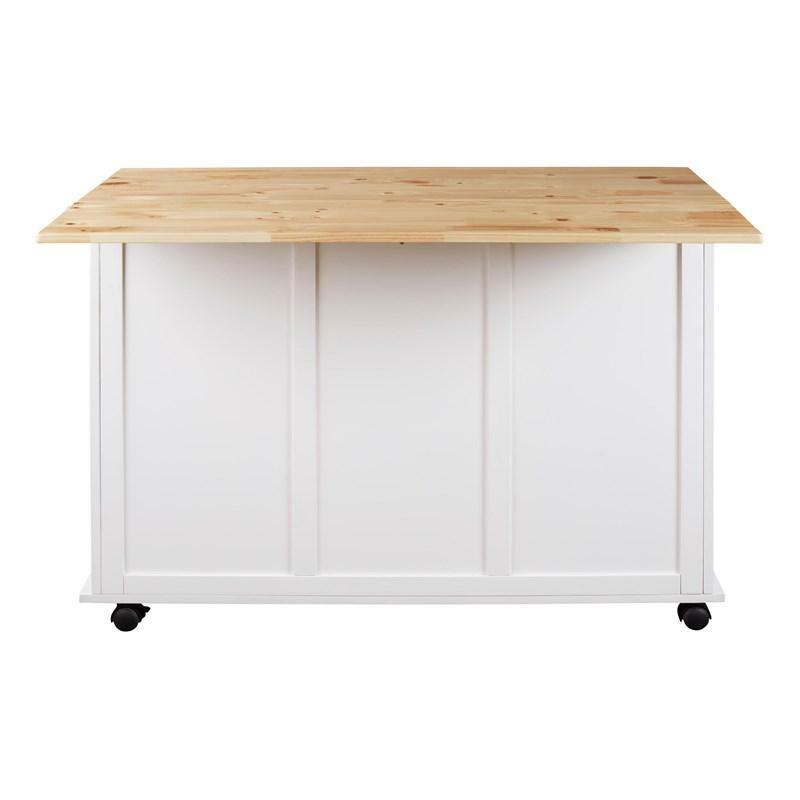 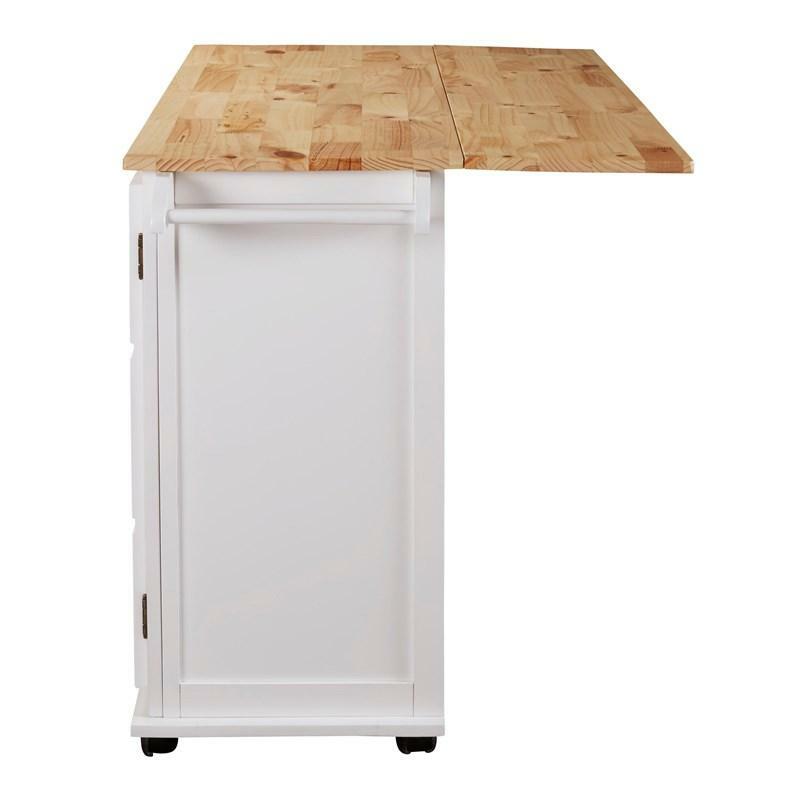 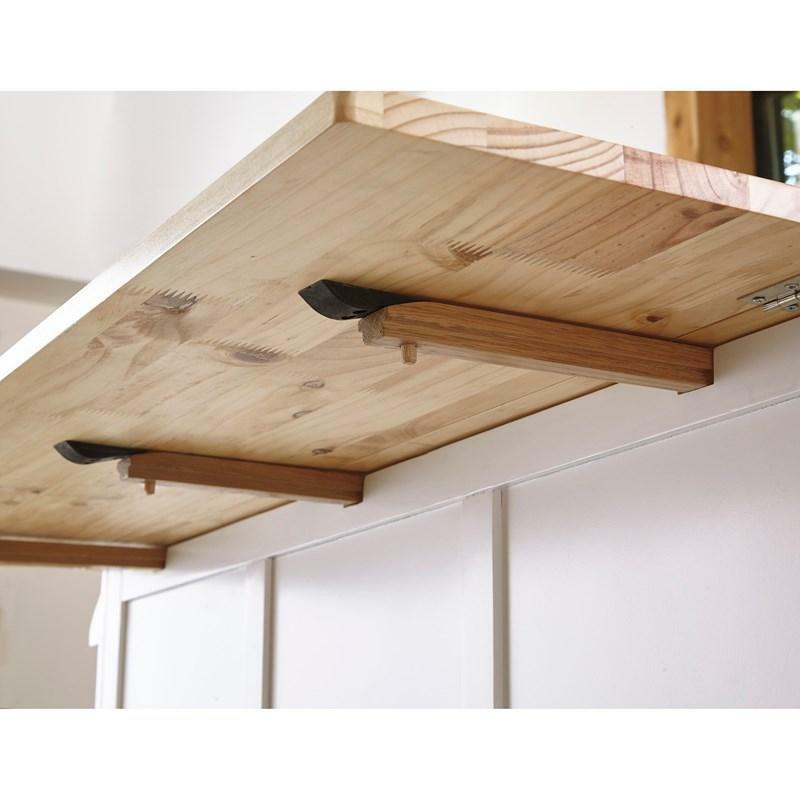 The convenient drop leaf adapts to large or small spaces. 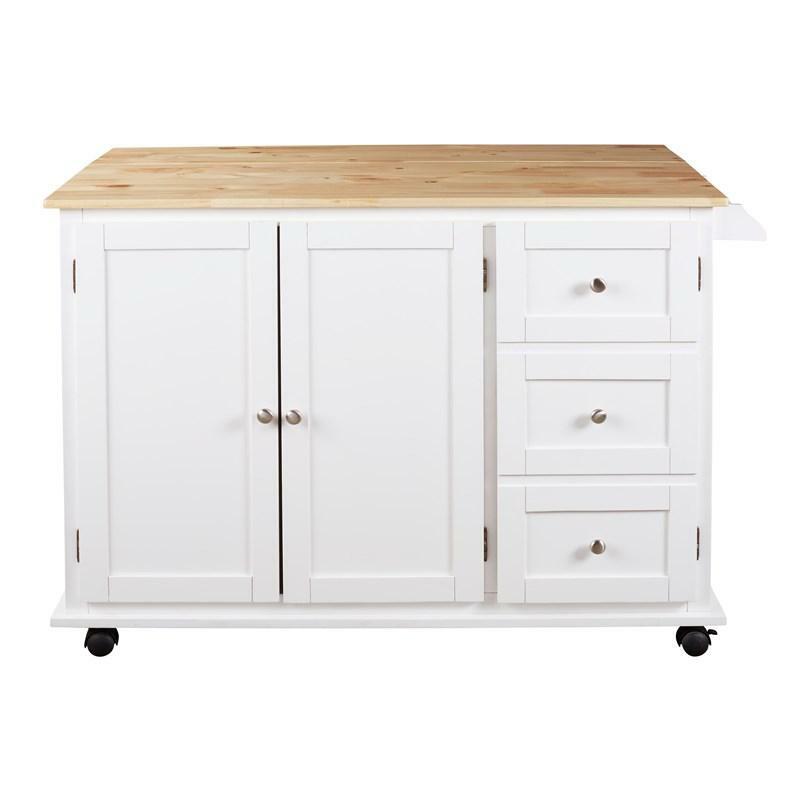 Caster wheels glide to any room of the house—so the party goes anywhere you decide.